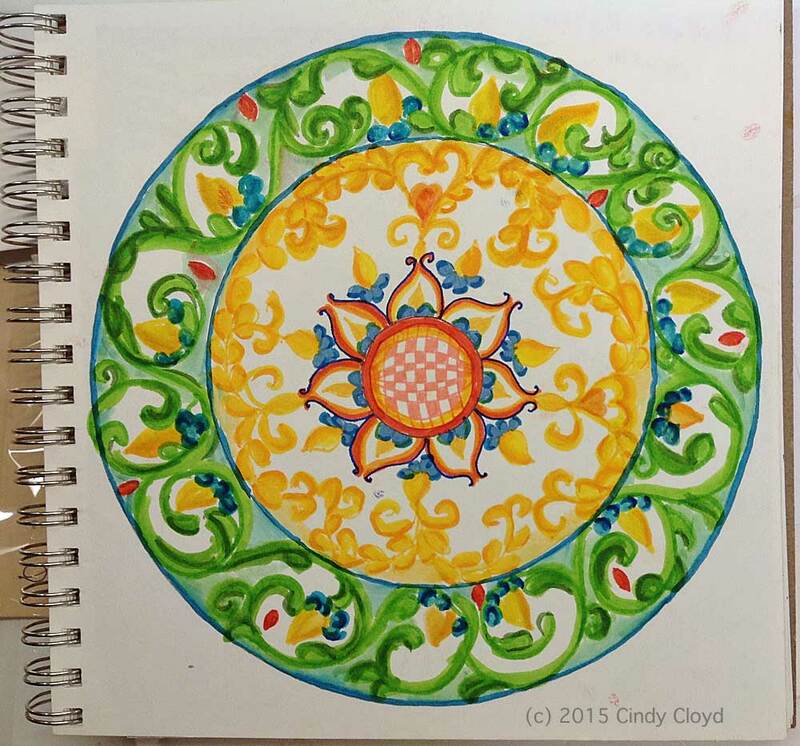 A wonderful customer of mine, Cindy Cloyd, painted this beautiful mandala in her art journal. I love her mixed use of symmetry and asymmetry and the beautiful flow of the design and colors. I also appreciate her free-form style with very little use of outline. It made my heart sing when she told me that coloring my mandala designs inspires her to create her own mandalas. She uses an art journal as a way to express her thoughts and feelings in creative ways including mandalas. Her journal reminds us that we too can be creative in expressing what we find challenging to express is mere words.